We are getting ready for summer vacation. The final countdown is on. 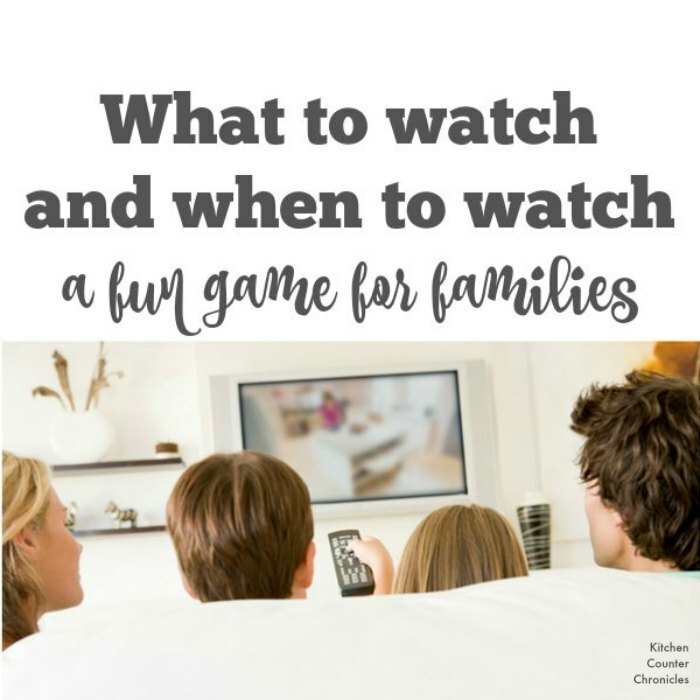 Aside from planning our trips to the beach and scheduling the kids’ camps we are also preparing for the onslaught of screen time requests. Remember when we were kids – when programs for kids only existed on Saturday mornings and a small time slot in the early evening. We had to plan our television watching around the tv station’s schedule and if we missed a show…we missed a show. That world is totally in the past – a distant memory. My children will never understand the trials and tribulations of being a kid pre-Netflix streaming. 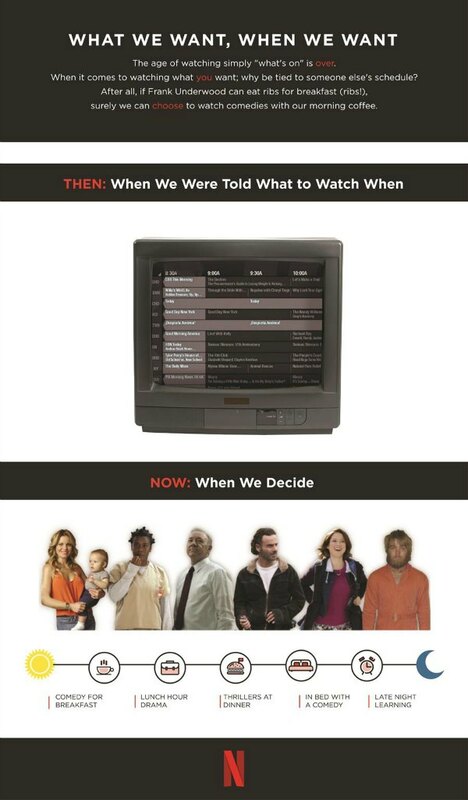 The new reality is that we can watch whatever we want – whenever we want. With the access to “anything at anytime” comes the challenge of over consumption. Summer vacation is about finding the balance between indoor and outdoor activities…physical activity and chill out activities. The last few summers we have relied on out printed and posted summer house rules to set out our expectations. To be honest the rules really work. 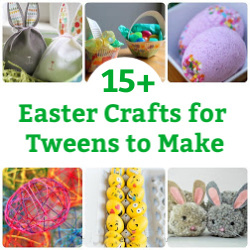 My kids understand what responsiblities they have to fulfill and the benefits of meeting those responsibilities. With the expectations in place, the next challenge is negotiating is what programs we will actually watch on Netflix. Everyone has an opinion. Those debates over what to watch can be never ending. 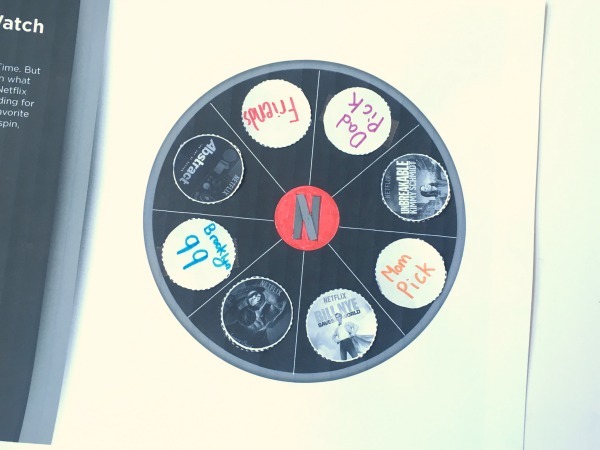 Enter the fun Netflix spinner game. 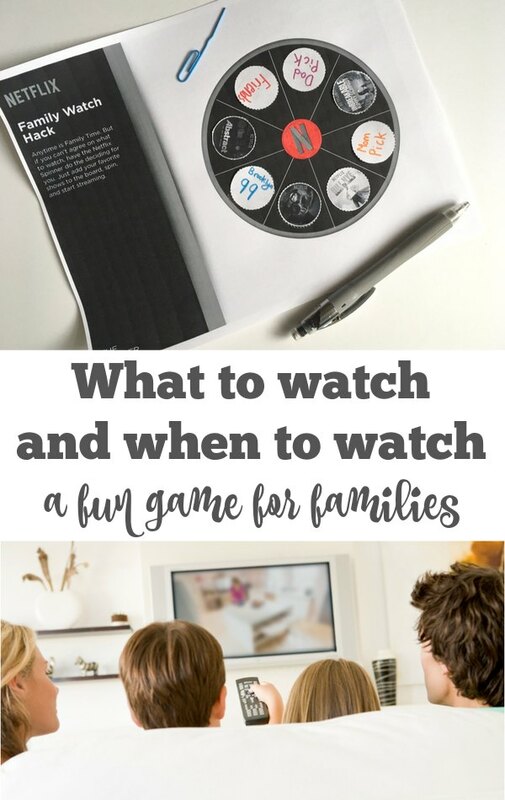 Yep, a silly little game that helps families easily decide what to watch. 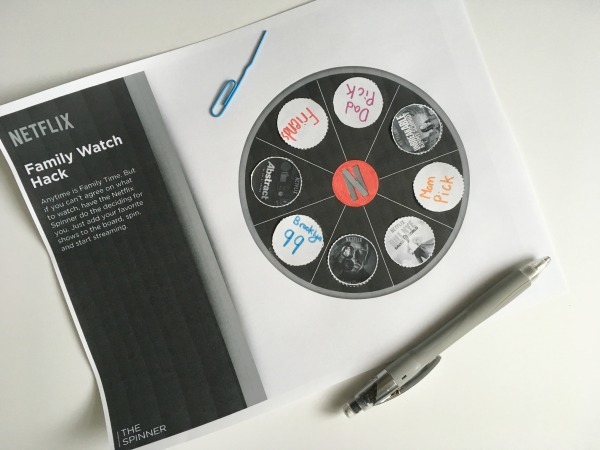 Print off the Netflix Spinner Game and get the kids to help you put it all together. My daughter made a few modifications to how the game is put together, check out her simple instructions. 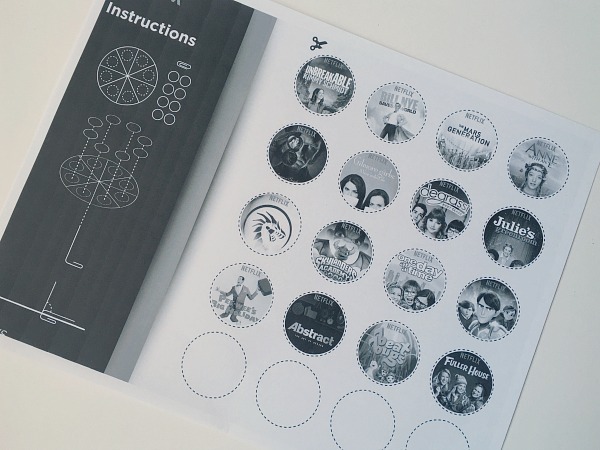 Print off the Netflix Spinner Game board and program disks. Customize as many program disks as you like. We had to have a Brooklyn 99 and a Friends disk. 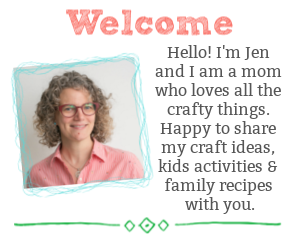 My daughter also made an open option for “mom” and “dad”. Which is pretty awesome. Tape or glue the disks onto the game board. Next, bend one end of the paper clip so that it is straight. 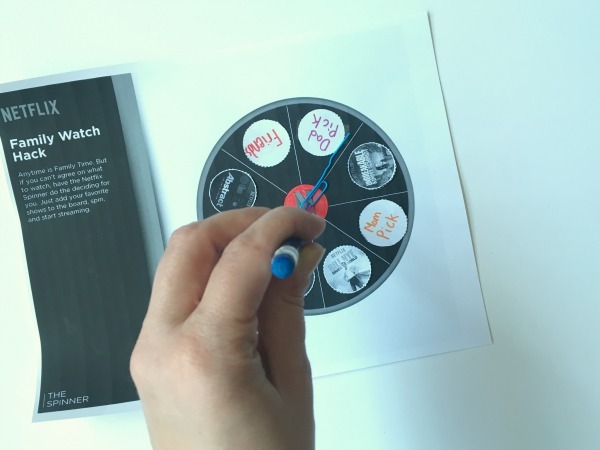 Place the bent end of the paper clip at the centre of the round game board. Stick the tip of the pencil into the bend in the paper clip. 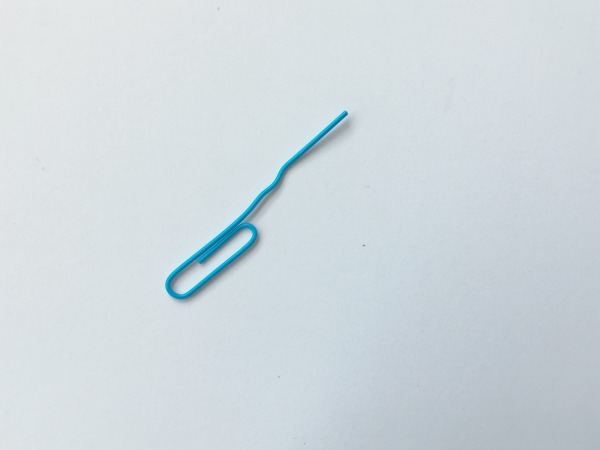 Flick the straight end of the paper clip and wait to see where it stops. Will this end all of the “what should we watch?” battles? Perhaps not. But we will have fun negotiating our way to a decision. Which shows would you add to the spinner? What are your kids watching?